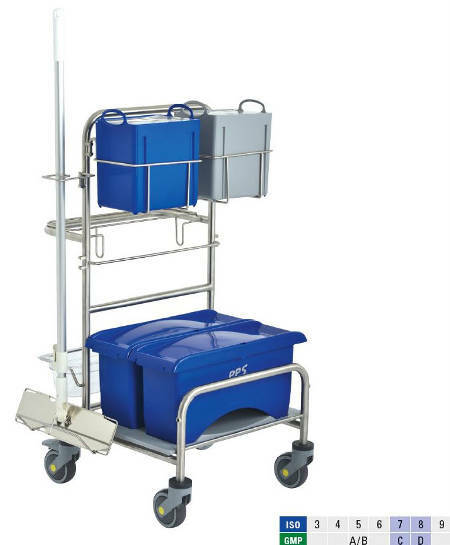 With the system trolley CR4 the cleaning methods EasyMop, MopFloat and FlatPress Ringo GMP can be combined, depending if pre-preparation or direct impregnation of flat mop is needed. The ClinoLink fitting system allows an easy individualization or modification according to requirement. Please let us know, if you need assistance to find the most convenient cleaning equipment.